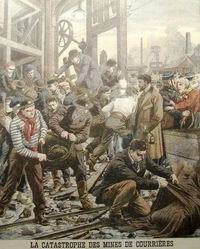 A disaster at the Courrières coal mine in France kills 1099 miners, including many children. Death of Harriet Tubman (1820 or 1821 - 1913). Tubman, an African-American slave, escaped her owners and then went on to make repeated trips back to the South to help other slaves escape to the northern U.S. and Canada, using the network of activists and safe houses known as the Underground Railroad. 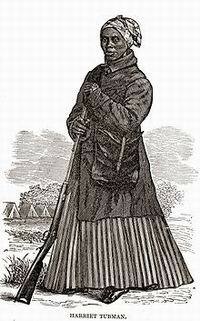 When the Civil War broke out, Tubman worked for the Union Army, first as a nurse and cook, and then as an armed scout and spy. 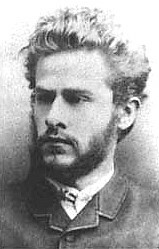 Leo Jogiches (1867-1919), Polish-German Marxist revolutionary, is murdered by right-wing militiamen in Berlin. 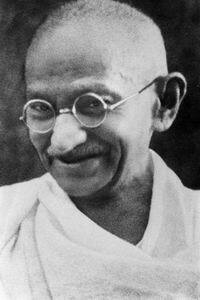 Mohandas Gandhi is put on trail for ‘sedition’ (i.e. advocating non-violent resistance to British rule in India). He is found guilty and sentenced to six years’ imprisonment, but is released after two years because of ill health. 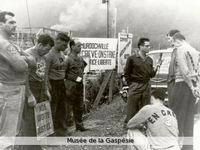 The Murdochville Strike begins when 1000 miners at the Gaspé Copper Mines in Murdochville, Quebec, go on strike demanding the right to unionize. The company refuses to recognize the miners’ union and uses strikebreakers, along with police provided by the reactionary provincial government of Maurice Duplessis, try to break the workers’ union. After a bitter and violent seven-month battle, the strike is defeated, but proves to be a turning point in Quebec labour history, contributing to the eventual defeat of the Union Nationale government and the social changes that follow. Dr. David Gunn is murdered in Florida by an anti-abortion terrorist.